Today I would like to tell you about two of my new favorite kitchen gadgets. Both were Christmas presents from my hubby. 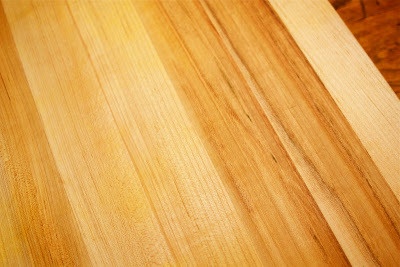 First up, is an amazing John Boos cutting board. 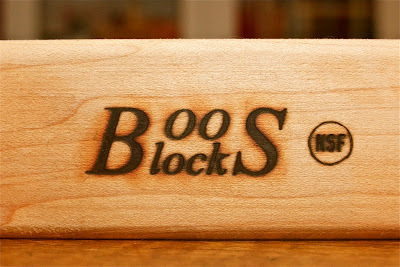 I had been a longtime admirer of Boos boards, but due to my extremely frugal ways, I could never bring myself to fork out the big bucks to buy one of my own. Leave it to my hubby to take care of that little problem for me. The hubby bought the board here. It was the same price as on Amazon and as the hubby tells it, Michael Ruhlman himself emailed to see how we were enjoying our purchase. Now that's what I call service. I love it, Michael! For the record, the cutting board is wonderful. The large size provides ample room to prep multiple ingredients and the weight prevents it from sliding around on the counter. 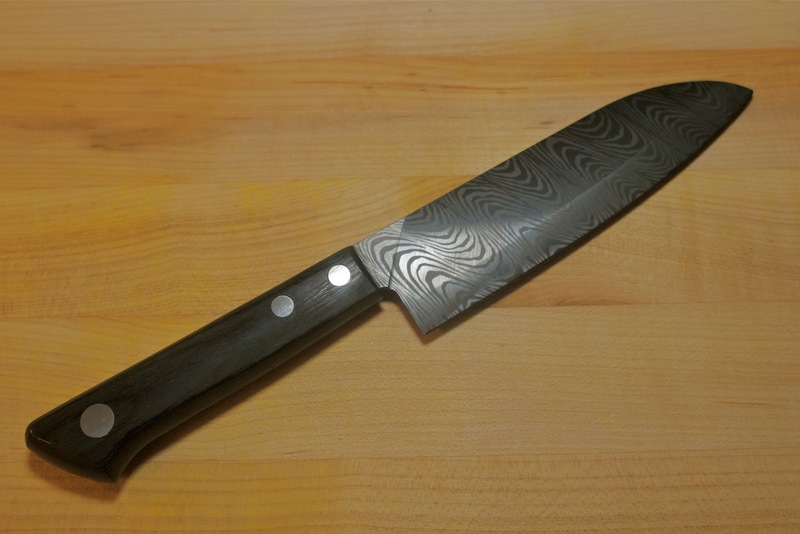 The other gift I want to tell you about is my Kyocera KT-140-HIP-D Kyotop Damascus 5 1/2-Inch Santoku Knife with Pakka Handle. Since there's no chance I could ever remember a name like that, I prefer to call it the Scary Sharp Knife. This is the first ceramic knife I have ever owned and I immediately noticed how much lighter it was than my Wusthof and Shun knives. 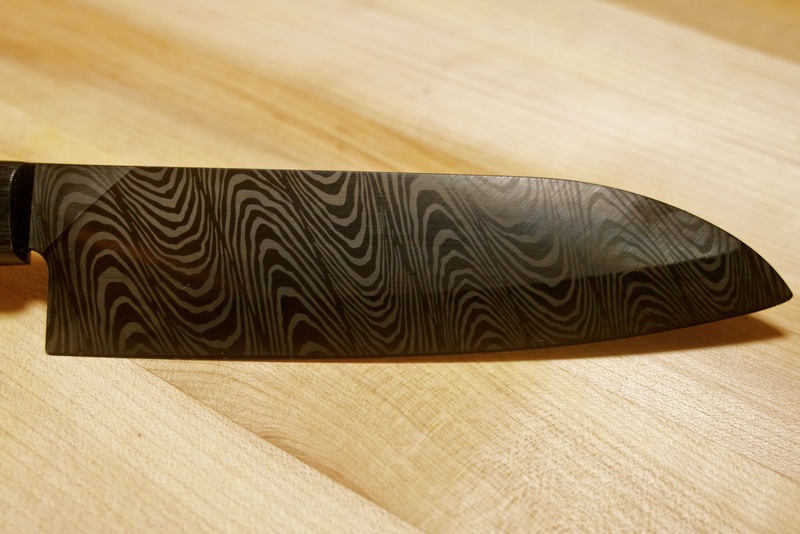 The Damascus is insanely sharp, so sharp that I would liken it to a razor blade. It easily slices through meats and vegetables like a hot knife through butter. For some reason, my boy seems to be unnerved by my new knife. He has taken to shouting, "PLEASE DON'T CUT YOURSELF!" every time he sees it in my hand. Despite the boy's fear, the knife has quickly become one of my favorites. What about you, dear readers? 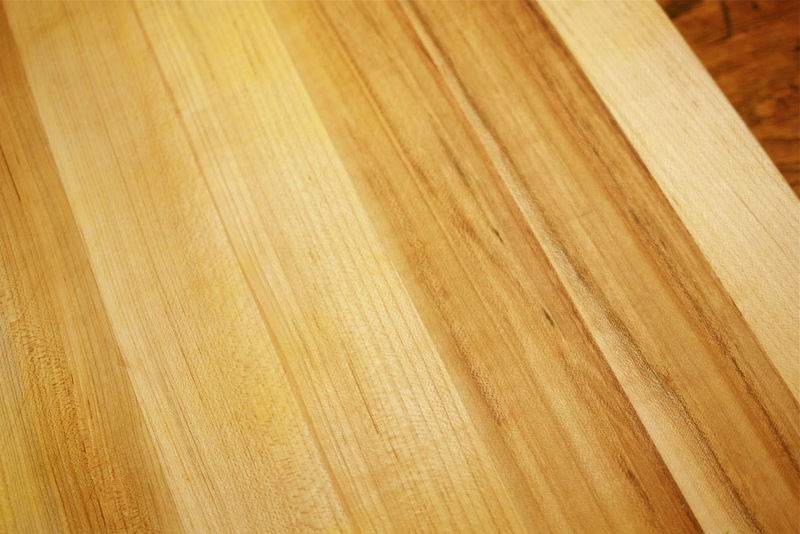 What kitchen gadgets do you love? *** The opinions expressed are my own. The fine folks at Boos and Damascus have no clue I exist. 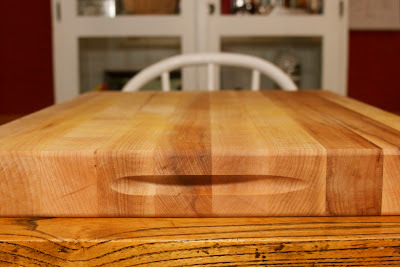 My hubby purchased the cutting board and knife with his own hard-earned cash and I have not been compensated in any way for my review. Knives are scary. I like cutting food with kitchen scissors. What would Alton and Gordon think? My favorite kitchen gadget these days is my Tassimo coffee maker thingie. Single serving, all sorts of flavors. Mr. Ha is an awesome gift giver :) Always knew he was a keeper! That knife design is awesome!